Whilst El Salvador's reputation certainly puts a number of backpackers off crossing its borders, it's still a popular stop-off on the well-trodden Central America traveller route. As we told you in our in our '10 Things We Love about El Salvador' post, tourism is an important part in the county's development and it's actually a really great place to visit - we recommend it everyone heading to the region. 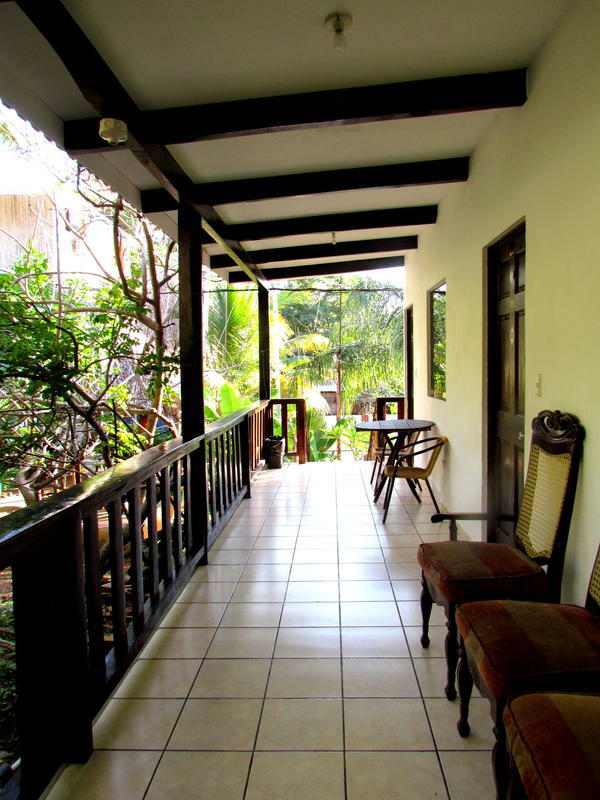 So, for those of you planning your route through this wonderful little country, here are El Salvador's best hostels! We've listed and selected those in the towns and cities we recommend visiting and those (like San Salvador) which you're likely to spend some time in whatever your path through the country. Tortuga is the sort of place that has turned El Cuco into a must-do spot on El Salvador's backpacker trail. Wonderful little private rooms each with its own patio and hammocks, free daily yoga, a beach side location and a wonderful vibe. Minimal wifi (but that could be a good thing!) and the restaurant is a little pricey** but for a short stay, don't let that put you off this fantastic backpackers resort. You might turn a few days into a few weeks...especially if it's turtle season. This sweet surf spot on El Salvador's coast is absolutely teeming with hostels, but the thing is that most of them don't have much of an online presence. If you plan on staying here for a while, we'd recommend booking your first couple of nights and then taking a look around the village to negotiate a better longer term rate. By far the best hostel in town, and with rooms to accommodate every budget, you'll be hard pressed to find a better alternative. Excellent wifi, fantastic outdoor areas, big pool and kitchen (albeit a little lacking in utensils) - plus it's only a five minute walk away from the beach. Sure, you'll find cheaper options in town, but this one's popular for a reason! Check availability and prices on Booking.com or Hostelworld. 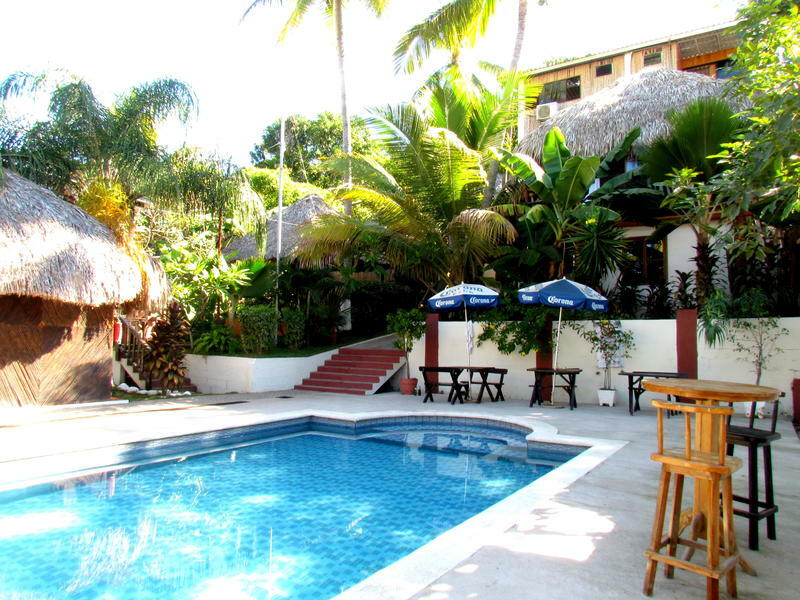 This is not only the best hostel in the area, it was also one of our favourites in Central America. Great kitchen, loads of comfy areas to snuggle up in, a fantastic garden, hot showers and adorable dogs! It's sociable, without being a party hostel and the hosts will do anything to help. Highly recommended. For availability and prices click here. Two kitchens, free coffee beans and grinder, all day hot showers, roof terrace with amazing views AND a swimming pool. Yeah, if you're visiting Santa Ana, you'd be crazy to stay anywhere else! We sort of need to preface this section, to warn you that on a whole, and compared with what you'll find elsewhere in Central America, hostels in San Salvador aren't that great. You won't find cool design, amazing kitchens or particularly friendly staff - what's important however, is security. Although San Salvador is probably not as bad as the press makes out (for tourists anyway), it's still a dangerous place if you head out by yourself late at night or in the wrong area. These are a couple of hostels where security is taken seriously. This hostel is a fantastic case in point. It's a bit scuzzy, the shared kitchen is incredibly basic, and the showers are a little temperamental, but it feels incredibly safe and is in a good residential area. Emily felt so secure when she first visited in 2006, that she returned again when we visited. If you're simply looking for a place to lay your head between buses, this is a fantastic option - it's also easily reachable by taxi from the bus station. Run by an American expat and his local wife, this is a great place for those that don't speak Spanish (most hostels in the city are locally owned, so without Spanish you would probably struggle). It's secure and in a safe area, they give access to the kitchen and it's in good condition. The only real negative is that there are no lockers, so from our point of view, this would only be an option if you are staying in a private room. Family run, this small hospedaje is in an excellent location, right next to the Cathedral and the main square. Comfortable rooms with fresh towels and daily bottled water, with a sun filled internal courtyard and on-site restaurant (unfortunately there's no kitchen on-site). A great budget-option in this beautiful colonial town!